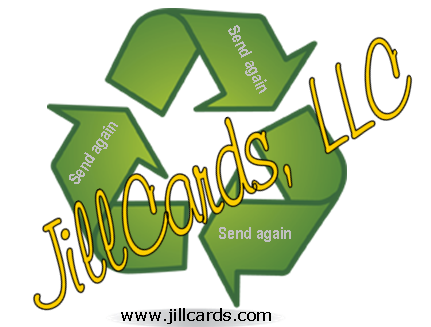 Posted on June 24, 2012, in Reviews and tagged Business networking, JillCards, Send again, Share, Small business, Social network, Sundays. Bookmark the permalink. 1 Comment. Our mission is to provide the world with an alternative to expensive greeting cards which end up in the trash. Our cards allow for a single purchase to impress multiple people, in a “green” fashion. We create hand-made cards for all occasions. When the occasion arises, send an extra special card guaranteed to impress; when that special person needs to send a card, they can re-use your card to “Send again” to their certain someone.